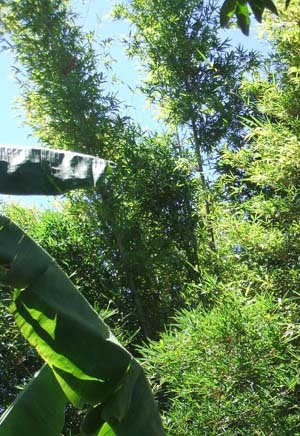 Bambusa malingensis, common names: Maling Bamboo or Seabreeze Bamboo, is fast growing, medium sized, with small leaves and thick walled culms making it one of the most wind resistant of all tropical bamboos. 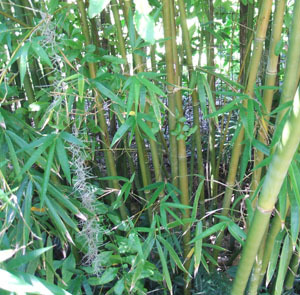 Clumps are tight, with stiff, erect culms. It can easily be used as a specimen plant or as a privacy screen. This plant is somewhat salt tolerant, with durable wood that is used in baskets and light construction. It is native to southern China.